July Photo A Day Challenge List | Viva La Vida! This is my 6th month to join this worldwide phenomenon and I hope you guys can join it! Its so much fun! 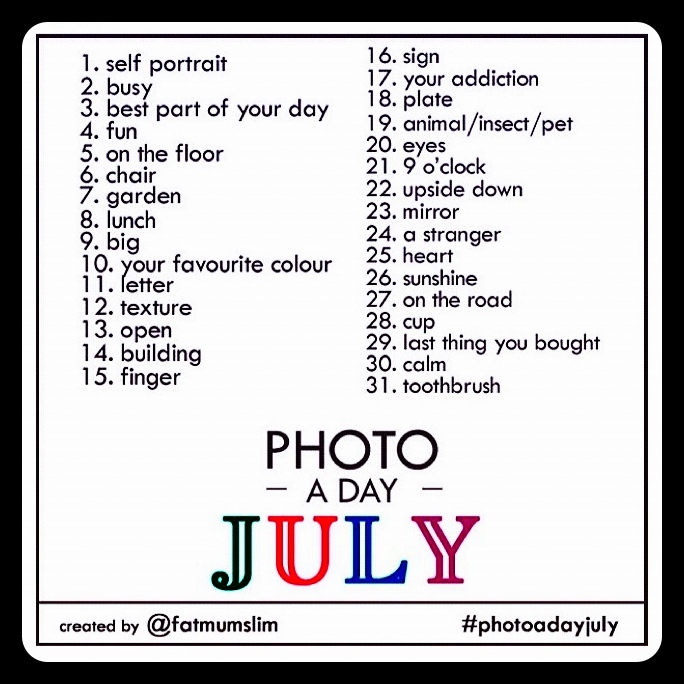 Here are some tips on how to get you started: Photoadayjuly and Photo A Day July: See the List and Join The Challenge! This entry was posted in 2012, Project 365 and tagged julyphotoaday, project 365 by Roxanne Calingo. Bookmark the permalink.